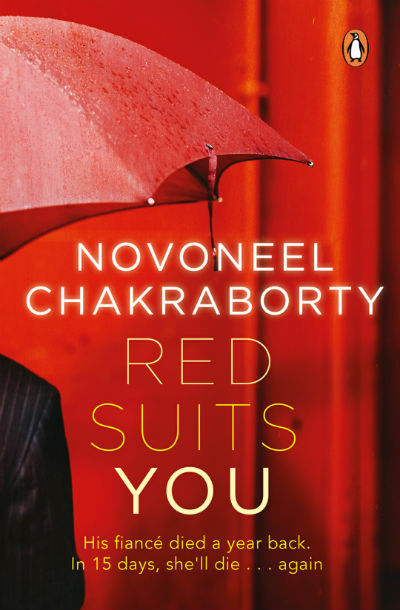 Recently I came across a book named Red Suits You by Novoneel Chakraborty which is a short read and available for < Rs. 16 (when I am writing this). If you love thrillers and want to read it in a comparatively short chunk of a time then this book suits you :). This is not the first book by the author. His thrillers are quite popular, especially his "stranger” series. This is, however, the first work by the author which I get a chance to read and I am happy reading it. As you can the cover page has a huge influence of red color and it is obvious as the book title suggests the same. Now, you may wonder why the title is given as “Red Suits You”? Well, it is quite possible that you may keep questioning the same even after reading the book! You then need to links the red color with all the possibilities (like love, blood, anger,…) and you can fit the things in the boxes properly. I must say that the cover page is quite appealing and if can surely influence the reader(s) to go for this book. The story belongs to Kanav Raghuvanshi. Kanav is living his life in quite a desperate state. Actually, he lost his fiancee some time ago and he cannot get over it. He is seeking professional services of Anahita Sengupta (psychiatrist) and it seems that his life is getting closer to the right track. One day, Anahita suggests him to go for a get together by a dating community where he may possibly find someone. If the things go properly then he may find love again and it may provide him relief from the grief and sadness he is succumbed into! Kanav started feeling the presence of his fiancee around him. Especially in the adjacent flat in his apartment. A chain of incidents happens in such a way that we cannot find him wrong also! But, how, a dead girl come back to life and do such things? Is it possible? What will happen to his newly found friend who seems to get along with him nicely? Do they have a future together? So many questions! Well, you need to read this small story to get answers and on the way, you will meet Kashika, Meenakshi, Mr. Deepak Dixit, Parminder Dhillon, Namit, Ashmeet, and others! And yes, the climax is worth a read for sure. This is a short story so talking much about it will not be spoiler free and we want to avoid them as much as possible. The book is a suspense thriller so it is walking on a tightrope to talk about it in spoiler-free manner. The book grips you from the beginning and it is required for a short book to be engaging from the beginning. For short stories, the canvas of the story is smaller so the writer doesn’t get much time to build characters and setting up the tempo of the story. The author does a good job here. The twists and turns keep coming at regular intervals and they keep you hooked with the story. The way various layers of the persona of all prime characters are explored is really worth taking a note. The second half of the story is more gripping (as it must have to be) where the things are moving faster. Moving on doesn’t mean you have to forget her. It means to accept reality. As you can see the philosophy of life is told in simple words in quite an effective manner here, and yet you can find it realistic too. The author is good at playing with the words, I found the below-mentioned line amazing. Kanav immediately called up his maid. She didn’t pick up. The second call announced the phone was switched off. The characters are strong and gender doesn’t play any role in the same. Despite the book falling into crime-fiction genre, there is no adult content, which is good. Because, these days we see many authors (even popular ones, and some are popular due to that only 🙂 ) cannot fight the temptation of including adult material in their works. So, all in whole, the book is a nice, short, engaging thriller which you will surely enjoy if crime drama is what you like. At least 7.5 to 8 out of 10.